Your ideal body weight depends on a number of factors. The ideal body weight for men is generally higher than the ideal body weight for women because of anatomy and size differences. The ideal body weight may differ between two people of the same height if their body frames are of different sizes. Medline Plus, a division of the National Institutes of Health, has developed a simple formula that will allow you to quickly calculate your ideal body weight. If you are a woman aged 20 or older, start with 100 pounds for your first 60 inches in height (five feet tall). Add five pounds for every inch that your height exceeds five feet. If you are five feet six inches, for example, your ideal body weight is 130 pounds. The formula assumes an average-sized body frame. 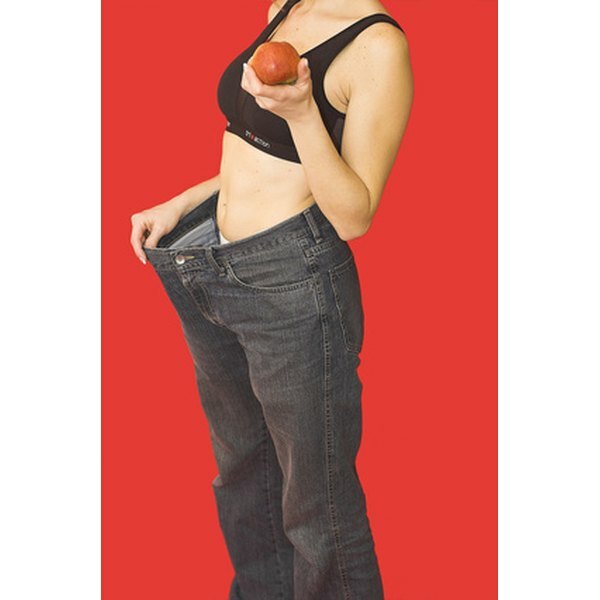 If your body frame is smaller or larger than average, you will need to adjust the estimate it produces. If you are a man aged 20 or older, start with 106 pounds for your first 60 inches in height (five feet tall). Add six pounds for every inch that your height exceeds five feet. If you are five feet 10 inches, for example, your ideal body weight is 160 pounds. As in Section 1 above, this estimate assumes an average-sized body frame. Women under five-foot-two who have a wrist circumference of between 5.5 and 5.75 inches have average-sized body frames. Wrist circumferences for women between five-foot-three and five-foot-five with average-sized body frames measure between 6.0 and 6.25 inches. Women over five-foot-five have average-sized frames if their wrist circumference is between 6.25 and 6.5 inches. Women whose wrist circumferences fall below or above these averages have small frames and large frames, respectively. Ideal body weight should be adjusted downward by 10% for small frames, and upward by 10% for large frames, according to Medline Plus. Men over five-foot-five have small frames if their wrist circumference measures between 5.5 and 6.5 inches. They have average frames if their wrist circumference measures between 6.5 and 7.5 inches, and large frames if their wrist circumference is over 7.5 inches. Small-framed men should adjust their ideal body weight downward by 10%, while large-framed men should adjust it upward by 10%. Ideal body weight measures assume a body fat percentage that is within the average range. Body fat percentage can be measured in a variety of ways, including using calipers to measure skin thickness and immersion in a water tank. The ideal body fat composition is 18% to 30% for women and 10% to 25% for men, according to the University of New Mexico. People at the lower end of this range might exceed their ideal body weight to some degree and skill be healthy, while people above this range might be unhealthy despite having an ideal body weight. Does Height Affect Waist Size?